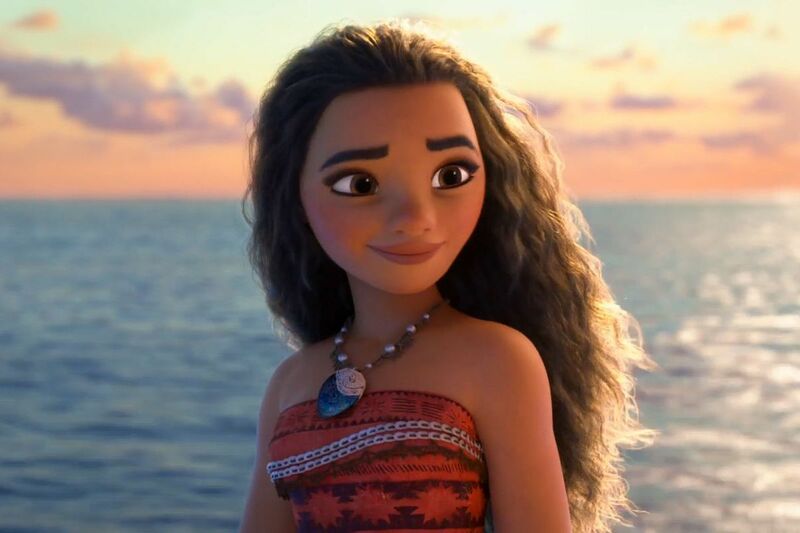 Inspiration Tuesday: Moana – reminiscence. As I grow older, I have been less fond of the Disney movies that played quite the huge role in my childhood life back then, and I realize that my spectrum of entertainment had really transitioned from Tangled and Finding Nemo, to Sherlock Holmes, or Doctor X. I used to fill myself up with so much Disney back then, that I unconsciously memorize some of my favorite movies’ script from the very beginning to the very end. Guess that was how much I really cared for these characters as a kid. Disney had done so much for me, and there are a list of movies that I find myself really enjoying for a number of reasons, but that’s an entirely other thing to write for another day. I haven’t really got a chance to see Moana during its first few weeks of release. Perhaps it was because I was pretty jam-packed with a whole lot of other things. However, I managed to finally have time to see this very interesting movie and invest myself into it to the point where I was able to grab quite a few things from it. Compiled below are her 3 characteristics that struck me in awe, for these are the ones that identify with me the most. Side note: Come to think of it, she is one of the very few main female Disney characters out there who represented women empowerment so well, and so that is another reason why I enjoyed devouring this movie to bits. Her leadership. She was the chief island’s daughter, and though at first she kind of rebelled against the throne being passed on to her, she ended up wanting to try, and kept both her mind, and her eyes wide open towards the people around her that needed her. Even when we see her feeling unsure of it at first, she decided to give it a go and managed to have done such a wonderful job in the end. She knew better than to not try first before actually accommodating success in her hands. Her outstanding persistence. The scene where she almost gave up at some point after Maui left, and then rose back up again because her ghost grandma believed in her, was the best. She was being given a task by the “ocean”, and couldn’t really figure as to why it had to be her in the first place, but she went for it anyway. Despite her father being totally against the idea, she still went for it because she truly knew what had to be done in order to save her people, and that because she believed that it should be her doing it. Nothing could really stand in her way because of this, and I think this persistent trait of hers could be a brilliant example being set upon the generation we live in these days. Her bravery. With every little obstacle that goes in her way, she wasn’t afraid to conquer them all and get a hold of what she wants for the sake of others. Even with Maui being all negative at first, telling her that it’s merely impossible to defeat Te Ka, the lava monster that guards the island, she eventually found a way and slipped through a loophole that managed to get her in and save her people. Also her rescuing Maui from the realm of monsters, marked another smart-coated bravery move on point as well. Guess that’s pretty much it for today, you guys. Let me know what you think of blogposts like these, and whether or not I should write something similar in the future? I think Disney movies are the best when it comes to sending valued messages through their characters in forms of movies like these, that I believe our next generation has a lot in store for their future as they grow from watching them. There’s just no telling on how far they’ll go. I’ll catch you guys in a few! Also, I’ve written something similar back then talking about Steve Jobs and why I think he’s cool, entitled “Motivation Wednesday: Steve Jobs Behind the Lens of A Non-Apple Owner”, feel free to read if you’re interested in checking out more of things like these!